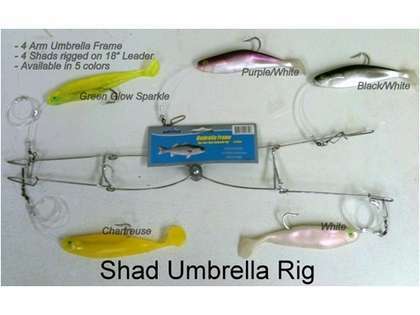 The lowest priced Shad Umbrella Rig. This one is rigged on a 4 arm bar with (4) 6 inch shads. These are rigged on a leader off of the bar and not connected directly to the bar like others. 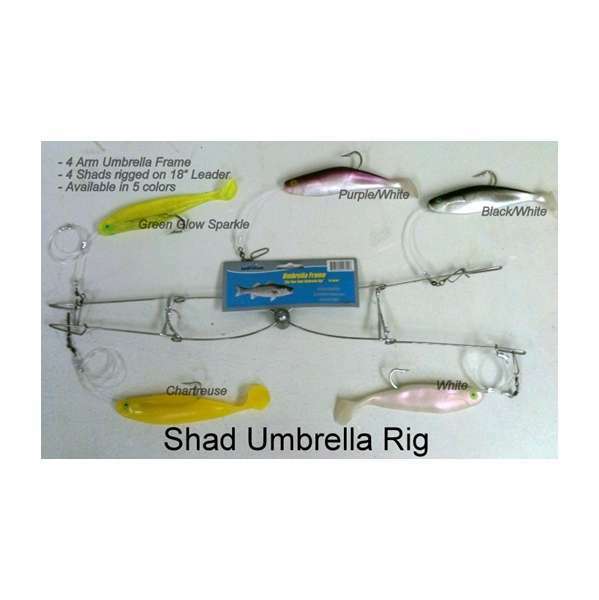 These shads are rigged on an 4 inch leader. You will outfish others using this method. Very easy to troll and priced right. It will help with the big bass. Is this a 20" long arm rig or 22" or something else? What is the weight of the center weigh? 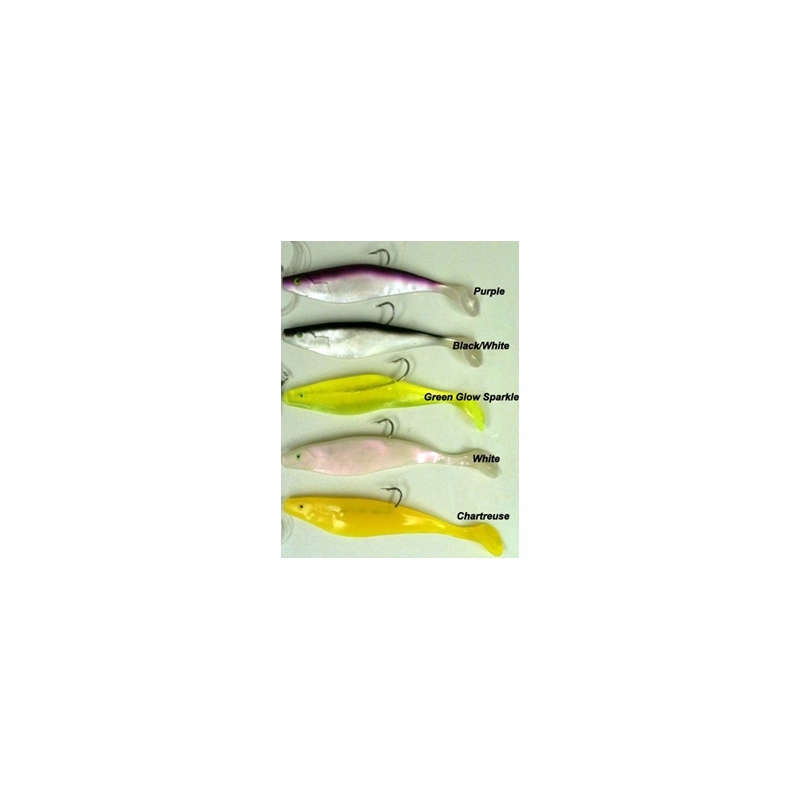 Also I see it only has 4 shad, so is there a spot to tie on my own trailer Shad from The center where the weight is? It is 21" and there is a small metal loop that if you wish you can attach a 5th shad of your own onto the weight, which would end up being placed in the middle of the rig. I will be able to answer the weight size tomorrow, so please check back tomorrow afternoon. The weight is approx. 2-3 oz.